It was spring break of 1993 – my senior year of high school – and I was driving back from Virginia Beach with three close friends. We passed signs for the University of Delaware. I asked if we could take a quick detour to see the campus. The one request literally changed the course of my life – forever. 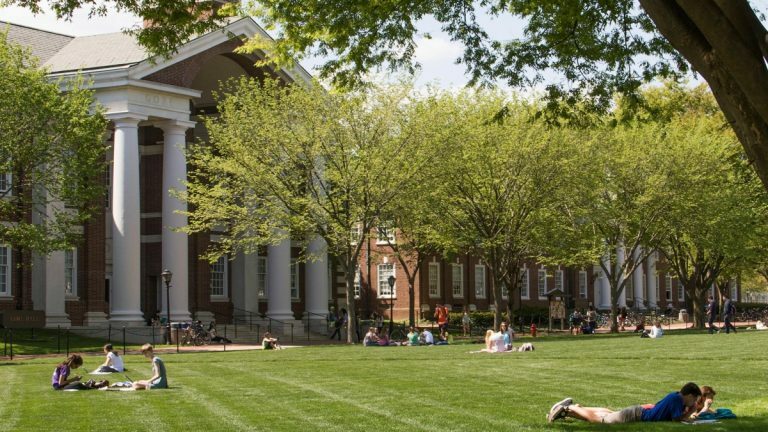 It was late in April and I had been accepted to UD but never set foot in the town of Newark, DE. Little did I know it would be the campus of my dreams. The tall Georgian style brick buildings declared “distinguished learning occurs here.” Blooming cherry trees lined the walkways and sprinkled tiny petals of hope. The vast lush greens displayed students splayed in various forms of earnest and relaxation. Even the bustling main street signaled vibrant small town living – with people conversing at tight eatery tables, perusing shop windows, and strolling in and out of the olde fashion national five and dime store (still open today). At Delaware, I excelled as a student, even discovered that I was smart and regarded as such by classmates and professors. I felt safe enough to take risks, be seen, be heard, pursue my passions and broaden my interests. Through my education at UD, I grew immensely in my sense of self and my confidence. I also healed, a lot. The right kind of place can do that. It can help connote “safety” and “security” in our bodies and offer fertile ground for risking vulnerability – the state that precedes personal growth and healing. From my experience, place is the initial condition for creating psychological safety. There is an unsung transformative power of place. Aesthetics, nature, light, textures, scenery, these things matter. We get this for the big moments of life – graduations, weddings, funerals, sometimes even births. But we minimize their value in the mundane activities of daily living. Place and the effort for aesthetics becomes about efficiency or practicality, even economy. This is especially true in work or learning environments. This is a mistake – even more so in trauma-informed change. Recently, I was listening to a great segment with Stephen Porges, a renowned researcher and the person responsible for the polyvagal theory. The polyvagal theory takes just about a Ph.D. in neuroscience to explain concisely. But in layman’s terms, it informs our understanding of how the nervous system functions, its hierarchical structure, its relationship to social engagement, fight, flight, or freeze reactions. The polyvagal theory is grounded in the concept of neuroception. For survival purposes, our bodies are primed to react to surroundings, circumstances, and other humans based on perceived threat or safety. Neuroception is a term Porges coined to describe the unconscious body phenomenon that occurs when scanning the environment for safety or threat. The threat center of the brain may over develop in individuals that have an abundance of childhood adversity or have experienced acute trauma. Place and aethestics can play a part in an individual’s perception of threat and conversely, safety. Porges contends, “we fail to recognize that an absence of threat is not the same as a cue for safety.” In other words, we may arm our teachers with guns, we may secure our airports with metal detectors and body scanners, we may fortify our country with armies, but it does not mean we feel safe. In fact, it may serve as a reminder of the omnipresence of danger. People often ask me if I train anywhere besides Hancock, New Hampshire. The answer is “yes,” but I try not to. 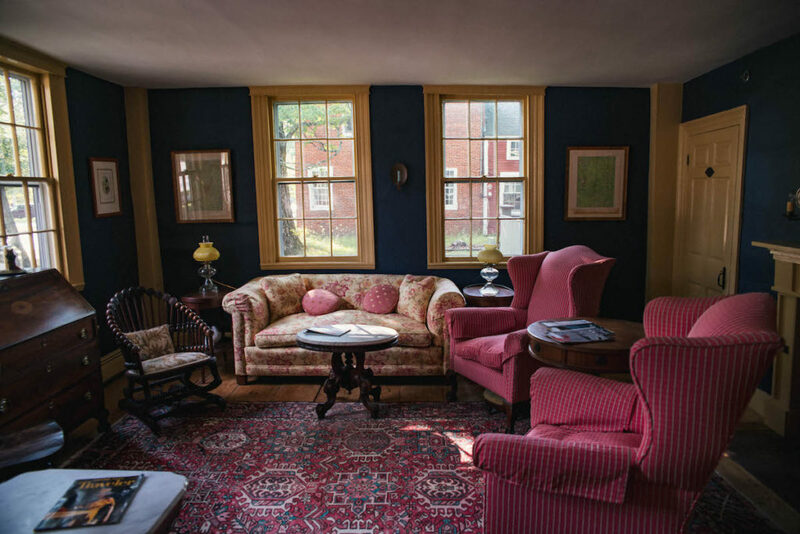 I intentionally selected The Hancock Inn as my workshop locale because the feel and the aesthetic of the space connotes, “you are welcome; you will be nurtured; you matter.” I usually have one day to generate a sense of psychological safety and belonging in a group of complete strangers. This is no small feat and totally necessary to optimize learning. But the place and space works. I hear this from my workshop participants with every workshop offering. They love the place! Love it! A couple weeks ago, I received a private message from Lain Kain through the ACES connection. She was inquiring about my willingness to offer The Regulated Classroom: Camp for Educators in California. Lara is a fellow consultant and the former senior director of the Transform Schools trauma-informed schools pilot initiative in the LA area. 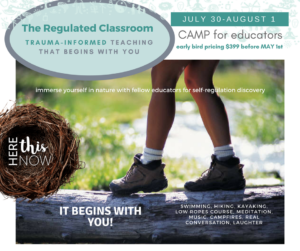 Lara gets the camp format is an innovative “out of the box” format to help educators build capacity for self-regulation. She acknowledges that nothing can rival the place and aesthetics of unspoiled natural landscape. That’s not true for all people, but it is for many. We are co-investigating the possibility of bringing the camp experience to a school client of hers in San Pedro, CA. But we are checking out the possibilities. It has to be the “right kind of place.” Any camp setting won’t necessarily do. But we agree getting the school staff into a setting steeped in abundant nature holds the potential of transforming their self-awareness and their relationships. Tomorrow when I provide on-site professional development in a local school district, I will do my best to compensate for the waxed shiny gym floors and glaring lights. But truthfully, I will be mourning the absence of warmth, charm, and good food in my body and for my participants. It matters. Beautifully written Emily. So happy to be part of your life at Delaware.